The Codex is now on Android! – Zombies, Run! The Codex is now on Android! What was in the CDC Box you collected from hospital in Jolly Alpha Five Niner? Who is Netrophil? Why do Jack and Eugene need garden tools? 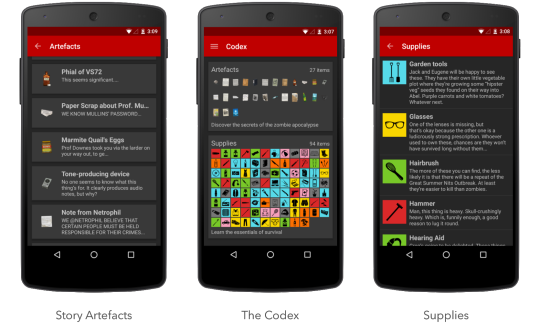 Now Android users can find out, with the triumphant return of the Codex in our latest 4.1.7 update! Previous Post ZR Virtual Race 2015 – Enter Now! Next Post Join the Virtual Race waiting list!